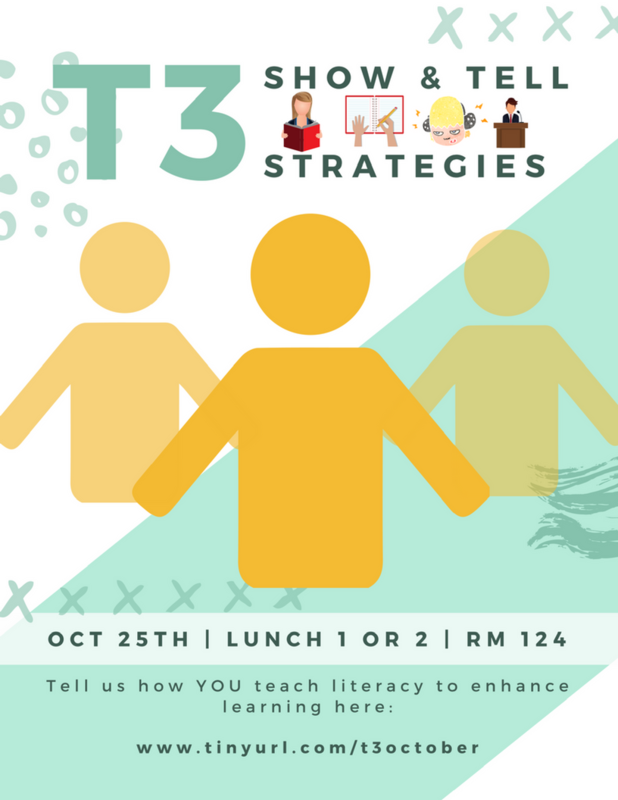 On October 25, 2017, 11 of us gathered in Room 124 to discuss literacy (reading, writing, listening, speaking) strategies that teachers from any department could use. 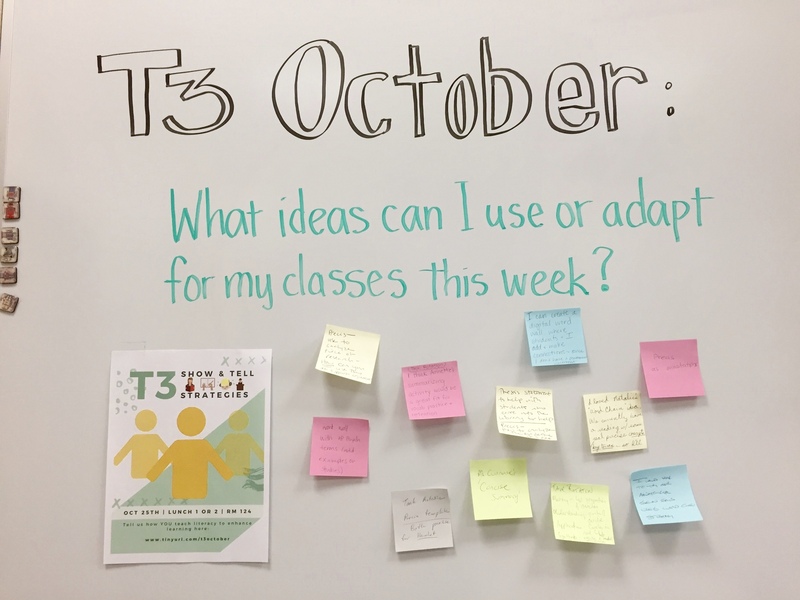 Add yourself to the Schoology course to join in on the conversations: 8TGGV-7R5F3. Natalie shares the vocabulary chain strategy. What is literacy and why does it matter? Reading, writing, speaking, listening. 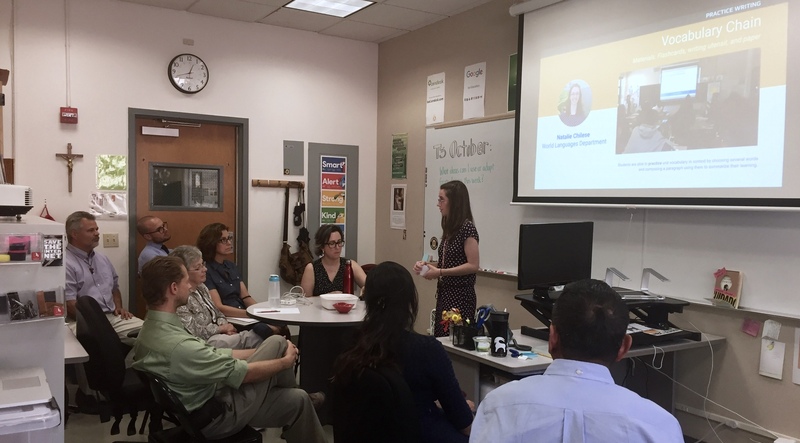 Whether you teach English or Spanish or Math or Science or Religious Studies or Technology, students are developing subject-specific language. You are equipping them with the conceptual knowledge and words to help students successfully interact with the world around them. What are ways I help students develop literacy in any subject? I think of literacy development like an endless cycle of food consumption. You are first presented with a cheeseburger, you digest it, then you use its caloric energy to do other tasks. Sometimes, I don’t quite get all the energy I need with one hamburger, so before I go do other things, I need to eat and digest some more. Additional resources to lessons and activities are available by clicking on the links in the presentation above.